Re: Links to Gnostic & Occult? daniel wrote: Modern society has done away with those rituals; as the morticians say in the Old West, "You plug 'em, We plant 'em." No closure; just bury the problems along with the dead--except they don't stay buried. Where do the psychopomps factor into this? On the topic of death rituals, daniel, what can you say about the effect of the treatment of the deceased's body upon the dead? Does cremation, leaving the body to the elements, burying the body, or treating the body with preservatives so it lingers a long time have any effect upon the deceased? I need to research more about Lloyd Pye but upon first brush many sources lump him together with Erich von Däniken (Jesuit education) and Robert Bauval (Franciscan education) and Graham Hancock (freemason obscurantist). After learning about the Reductions in Paraguay and how they led to a slew of countries outright banning the Jesuits I find anyone with such connections worthy of a critical breakdown. The giant skulls that have been found are remains from the great deluge? During/After the event the mining operations were abandoned in South Africa? 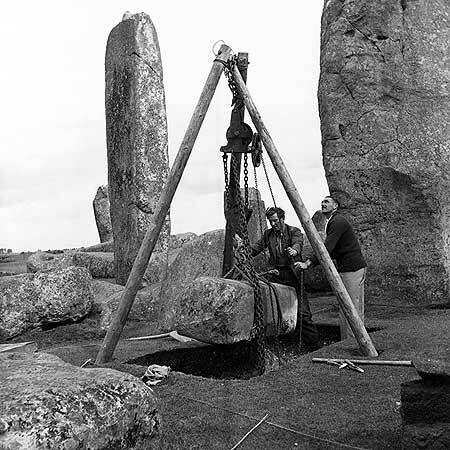 Inbetween this time and around 4500 BCE when the Druidic Irish build stonehenge and introduce gold into europe is the area of contention I seek to reconcile. Lozion wrote: but I sure would invite a few Neanderthals over for some enlighting conversations. Have lots of air freshener... they smell like a compost heap. Lotus wrote: Where do the psychopomps factor into this? If space is the face of a coin, and time is the tail, the psychopomp is the edge... as Larson puts it, "beyond space and time." Many times, though it appears as an entity, it is actually the intelligence of your shen bioenergy (as Ra calls it, "intelligent energy") that is being symbolized by what is left of your brain/mind, as you make the transition, and is interpreted as a guide to the afterlife (or beforedeath, depending on which way you are going). Ascended entities are beyond my capacity to explain; trying to do that is like an ant being picked up by a Narn, and going, "what was that???" Lotus wrote: On the topic of death rituals, daniel, what can you say about the effect of the treatment of the deceased's body upon the dead? Does cremation, leaving the body to the elements, burying the body, or treating the body with preservatives so it lingers a long time have any effect upon the deceased? I have not researched that topic in much detail; though it has been my wish that I be "left to nature," where other critters can get a good meal. That way my death is provide others with life. After a couple of months, the material-cosmic linkage has completely broken down (I know of no way to preserve that linkage), so I don't see much point in keeping the body intact. I believe that most of those rituals come from the understanding that man belongs to the Annunaki, and they might come back to "collect their stuff" (the Rapture), so the stuff better still be laying around! pietropirou wrote: The giant skulls that have been found are remains from the great deluge? During/After the event the mining operations were abandoned in South Africa? Though the majority of the giants (Nephilim descendents) were killed in the Deluge, many survived to rebuild another civilization. It wasn't until the earth expansion even of 747 BC that the climate changed sufficiently to make their survival impossible and they died off as a species. pietropirou wrote: Inbetween this time and around 4500 BCE when the Druidic Irish build stonehenge and introduce gold into europe is the area of contention I seek to reconcile. The difficulty here is that the Druidic Irish did not exist in 4500 BCE... something that old research paper mentioned was that Cro-magnon man only made his appearance about 4000 BCE with the Adamu; civilization before that was Neanderthal. We are taught that the Neanderthals were a bunch of club-wielding idiots; but with a neocortex that makes us look like the idiots, he suggests that the really ancient civilizations were L-M and Neanderthal--and they were the ones building stone cities with paved roads for wagons--not us. Just something to think about. daniel, that dinosaur you came across once in that underground base - did it smell of anything in particular? Was it wearing any clothes or was it a stark naked dino? soldierhugsmember wrote: daniel, that dinosaur you came across once in that underground base - did it smell of anything in particular? Sorry, I don't remember. It caught me by surprise and was gone before I got a good look. 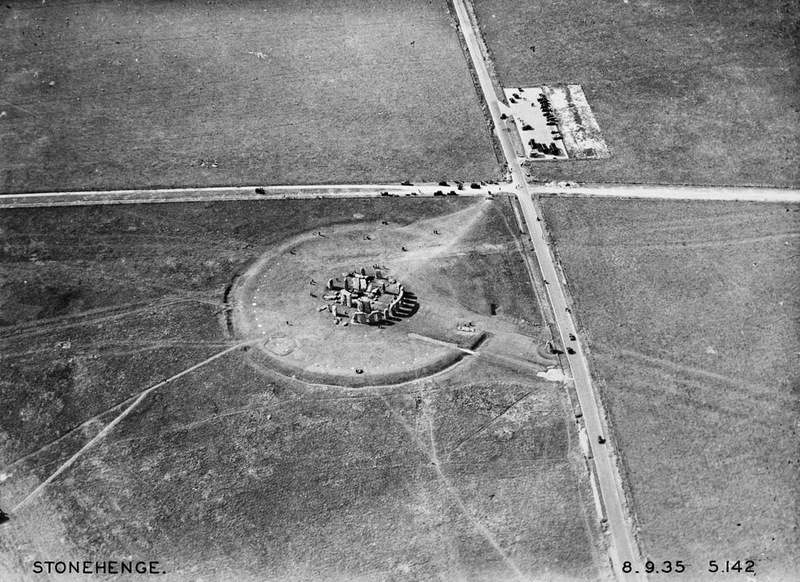 Throwing us a link to an indecipherable website with some old photo's of what looks to be an excavation or repair does not constitute any proof... check the following out, there is an absolute abundance of evidence, photographic and from even older maps and accounts of the history of Stonehenge being a lot older than 1954! Don't just believe everything you come across online, look into it a bit more first before forming an opinion or posting disinformation, there is enough of that around without making up new stuff. Cheers! Loving this thread. Full of goodies. With regards to the origins of the christian religion (not sure of Gnosticism actually falls under that religion at all then), it brings some interesting questions to mind. If I'm not mistaken, the gnostic materials are then just as artificial as the catholic and protestant stuff. Would love to find explanations for the pretty awesome supernatural stuff myself and many others I know personally have experienced, that were based on the protestant materials (i.e. bible). Perhaps when asking that type of question, I would be steered into the direction of soul traps. Anticipating that, I would say that these kinds of experiences had nothing to do with death or sticking around on earth. I'm talking about things like instantaneous physical healings, knowledge of things of people that they never told anyone, some of it may be historical facts, present circumstances, or perhaps more personally deep emotional stuff going on at the time. The experiences also include very real things to do with malicious spirits being evicted from people. The kind of stuff that simple can't be made up. Trust me, when a small lady can throw large men around as if they were petite designer handbags, you don't think of some roman politician writing fiction. Other experiences include sharing dreams even though the people sharing the dreams haven't talked to each other in a week when it happened. I was one of them, and in talking to another guy about the dream, he confirmed he recalls the same stuff in his, on the same night. The context of the dream was what we call spiritual warfare. I realize that people will start talking about symbols and shared interpretation of those symbols, but that isn't enough explain how we were cooperating in the dream together while definitely engaging in conflict with some malevolent entity and could recall the stuff afterward. So, in the light of stuff like the supposed completely artifical history of christianity (and all forms of it, cath, prot, and gnostic), how does one explain all the above personal and acquaintance experiences in specific contexts involving those very same materials (i.e. bible) in a very closely related manner? And I mean, implementing principles of understandings based on rigorous study of those materials. Because right now it seems there's major contradiction here between the sources that say its all fake and having had daily first-hand empirical experience that it can't be all fake. How is that explained then? infinity wrote: Because right now it seems there's major contradiction here between the sources that say its all fake and having had daily first-hand empirical experience that it can't be all fake. How is that explained then? Try separating the function (psionics) from how it is being symbolically expressed (religion). When the brain encounters something it does not know from prior experience, it attempts to find the nearest match to known symbols (adaptive resonance theory of the mind). And we've been programmed with a lot of religion to provide those symbols. Read mythology... any time something inexplicable happens (based on active knowledge of the time), a "god" must have done it. And we've built up this pantheon of gods, angels and demons to symbolize many natural events--except those events are taking place in the unobservable region of 3D time, rather than space. Your angels are yin, your demons are yang, organized under the "godhead" aggregate. Religion is a convenient control drama, as well. If "god did it," and I am the personal representative of that god, well, then you better do what I tell you--or He'll get pissed and you'll be in a world of trouble--even though "god" never, ever shows his face. One of the things Larson points out in Beyond Space and Time, is that the supernatural is natural (and a natural consequence), when time is included as an aspect of motion, in a physical universe. I think our definitions differ to much to be using the same words for these things. The way I read this, is a very cold way of looking at it. Psionics isn't just like an arm or leg to me. It is a precious grace. I respect it and honor it. I treat it as sacred. Not in the sentimental way, nor in a naive way. In a way that it is not about simple mechanics. I'm not sure how to describe it, and I don't know if I can explain it. There is a sense of responsibility in it so that others may benefit from it. Not the way I insist they do. Just simply that they are assisted in a way they can relate. The reason I emphasize this, is because of the sentiment of the post, and other related posts, regarding the misunderstood context I keep referring to. The religion bit, regarding symbolism. I understand why its seen as that. If any form of "mainstream" history is fake, and its all just interpretations (i.e. its all in the head), then of course its nothing but a symbol for something else. But that is a subjective opinion, and its based on a lot of assumptions - despite the historical research basis for the suggestion to "drop the connection to the symbol". Yes, I agree that religion is bad, and I agree the facts are a lot different from what we were told they were. But to relate those deceptions with the actual precious miracles (and I use that word because to those people they were deeply meaningful and special) where people had breakthrough in their lives after having gone through all sorts of trauma ranging from emotional to spiritual torture - that, I cannot accept. This is not about religion. When the brain encounters something it does not know from prior experience, it attempts to find the nearest match to known symbols (adaptive resonance theory of the mind). And we've been programmed with a lot of religion to provide those symbols. Read mythology... any time something inexplicable happens (based on active knowledge of the time), a "god" must have done it. And we've built up this pantheon of gods, angels and demons to symbolize many natural events--except those events are taking place in the unobservable region of 3D time, rather than space. I get that. We're on the same page on that bit. Your angels are yin, your demons are yang, organized under the "godhead" aggregate. I think there's a big gap in definitions here again. To me, angels are simply non-physical beings with a pre-arranged task to perform in partnership with the physical person having a physical incarnation. The word simply means "messenger" but is used in many other contexts despite those contexts having nothing to do with messages. while yang is a a form of energetic configuration with the characteristics of bringing change, or transformation of one state to another state - which CAN result in separation or diversification, but not necessarily. I'm not even sure I see them as polar opposites because I don't think of them as that. If they are "white and black", then I would consider "green, pink, purple, red, blue, etc.) just as valid as the white or the black. Regarding demons - I'm not sure what experience (if any) you have with the real thing, but you seem to treat the term as some trivial symbolic term used for something that doesn't exist. Unfortunately the term is used to cover a broad range of encounters (including purely psychological stuff), but the word "demon" is properly used when referring to a malevolent spirit, working in a hierarchical power structure toward a common goal with other spirits of its kin, to manipulate and control other beings (through any form, whether fear or hope) toward their own self-centred agenda - at the cost of anyone else that gets in their way. They are neither symbolic nor harmless. And they DO respond to anyone with the ability to perceive their presence or their workings, because they don't like it if there's any awareness of them. They are usually associated with the destruction of all forms of life, dividing and conquering their targets. Religion is a convenient control drama, as well. If "god did it," and I am the personal representative of that god, well, then you better do what I tell you--or He'll get pissed and you'll be in a world of trouble--even though "god" never, ever shows his face. One of the things Larson points out in Beyond Space and Time, is that the supernatural is natural (and a natural consequence), when time is included as an aspect of motion, in a physical universe. I fail to see how that has anything to do with my question, nor my examples. How could it be possible for me to have learned, developed, and have had really good results of genuinely helping people getting genuine breakthroughs, if the bible is pretty much complete fiction? There, I spelled out the question now. I thought it was obvious in the way I asked it in my previous post, but maybe the unwillingness to tolerate the idea of the context got in the way of the actual logical question. You don't have to like the context, but that doesn't mean its bad or wrong. Your bias against it also shows me that your definition of it is so negative - not based on your experience in the environments and contexts I have been in, but only your own perhaps which might've been the opposite of mine - that you cannot fathom the idea of experiencing unconditional love, unadulterated spiritual guidance, and "natural occurences" happening in 3D time (to put it Larson's way or your way then) in the context of a "belief system" that's supposed to be all fake and deception. But that's the problem. That's based on the assumption that its all just mechanics and function and symbolism. It's not what we're talking about here. You try to explain it away (how could i learn and do these things having learned them through the bible) by "separating the symbolism from the function" but you're avoiding the question I'm asking - which has nothing to do with the symbolism, and which has nothing to do with the function. It has to do with the impossibility of the material being all bogus, yet having learned and developed very non-bogus, very real, and very effective abilities BASED on that supposedly bogus material. That is a logical contradiction, it is an empirical contradiction, and they are mutually exclusive. The one is based on words and letters and people telling stories differently. The other is based on changed lives and real breakthroughs - not my words, the words of the people that shared their experience of it. Thousands. Not only in my country, but in India, in Australia, in South America. All over the world. The same stuff. So which one should I go with? Wouldn't a reasonable person go with what actually works, as opposed to what someone else is saying "that can't be because its all fake" ? So my question remains unanswered. The symbolism vs function approach is not answering the question.